An evolving Battlefield for all players, as explained by our Engagement and Core Gameplay Producer, Ryan McArthur . 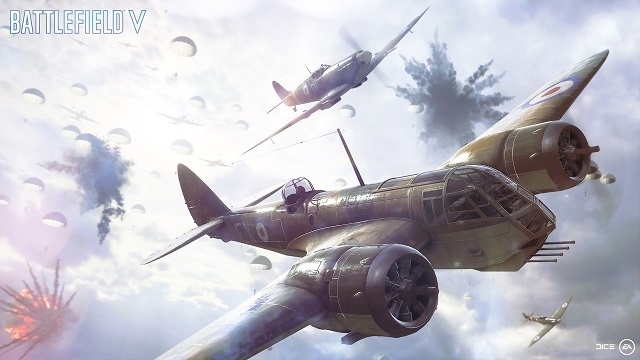 With Battlefield™ V, we want to take you on a true journey through World War 2. But what do we mean by that? Instead of just showcasing new locations, we want to immerse you in this epic conflict and evolve the gameplay, just as tactics and weaponry evolved throughout the war. This entire journey is called Tides of War – and it starts with your Company. The Company reflects you. 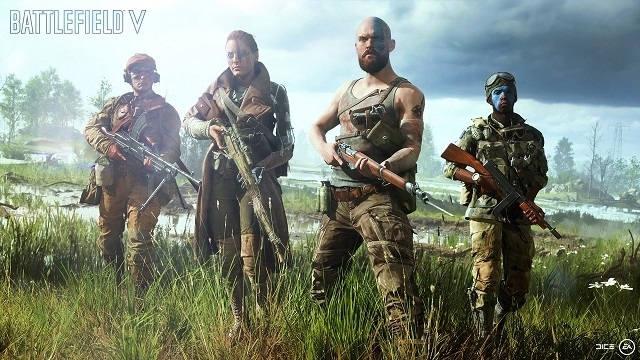 It is your collection of customized soldiers, weapons, and vehicles developed and modified as you progress through the Battlefield V journey – and you can bring it to all multiplayer modes and the cooperative Combined Arms . You can create one personalized Company per faction , each containing a set number of soldiers, vehicles, and aircraft. In multiplayer, you'll be able to play as the British and German armies - the initial two factions of the game. The soldier classes – which consist of the four staples of Medic, Scout, Support, and Assault – can be customized to accommodate your playstyle. You can alter their appearance by changing aspects like outfits, gender, helmets, skin color, and war paint. You can of course also change loadouts to best suit your upcoming fight. The more you use your weapon in battle, the more you open additional customization options such as skins, receivers, stocks, barrels, muzzles, and more. This goes for vehicles too: customize your tanks with paint jobs, sand bags, leaf camos, and more to really stand out. This personalization will also build a name for yourself – both squad mates and enemies will remember you based on what they see on the battlefield. As you gain XP, you unlock new Archetypes for your soldier classes. An Archetype is a class specialization developed to fit a particular playstyle. For example, as a Support, you may be able to choose from the Engineer or the Machine Gunner – among other Archetypes. These specializations create clearer team roles and greater gameplay depth. The available weapons, gadgets, and attributes vary between Archetypes. You can switch between Archetypes during matches, so you always have the right tools – and skills – for the job. Through Tides of War, we’ll be introducing new Archetypes that support new playstyles. You can even choose exotic Archetypes like the Paratrooper Recon, a Scout that uses stealth and silenced weaponry to take out enemies. 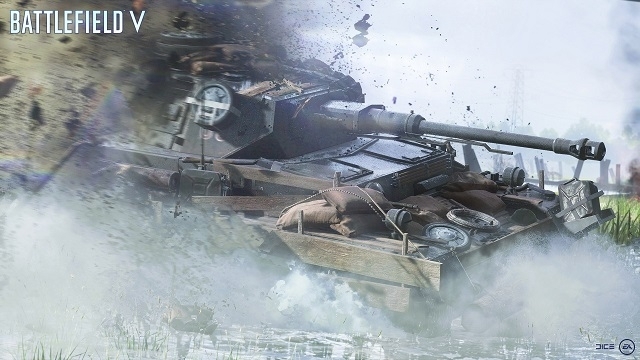 The Battlefield V you play at launch will evolve over time. Our goal is to continue to surprise the community by adding new content and making you want to revisit existing battlefields. We can’t wait to share more details on this. 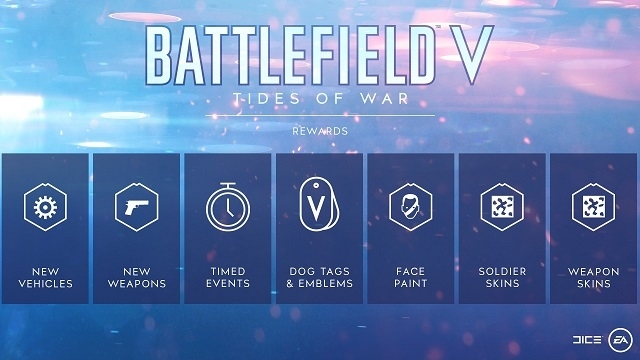 Along with the various experiences available in Battlefield V, Tides of War will give you the best opportunity to further shape your Company by collecting custom location- and event-specific gear. You’ll enter as a band of fighters – and return as kin. Your Company will never be the same. We are committed to making sure that you’ll always be rewarded by playing the game. Players cannot pay to get any unfair gameplay advantages. Delivering a path through WW2 where your Company grows and learns is our mission. Experience the Tides of War with your Company on Xbox One, PlayStation® 4, and PC – starting on October 11 for the EA Access and Origin Access Play First Trial*, October 16 for Battlefield™ V Deluxe Edition early enlister access, and October 19 for the Battlefield™ V Standard Edition. Pre-order here to secure your copy of Battlefield V.
EDIT 6/4/18: Removed line, “More armies will be introduced through the Tides of War after the launch of Battlefield V.” We are committed to bringing you the best Battlefield V experience through our Tides of War live service. As we head towards launch and beyond, we will have more information on new content as it is announced.